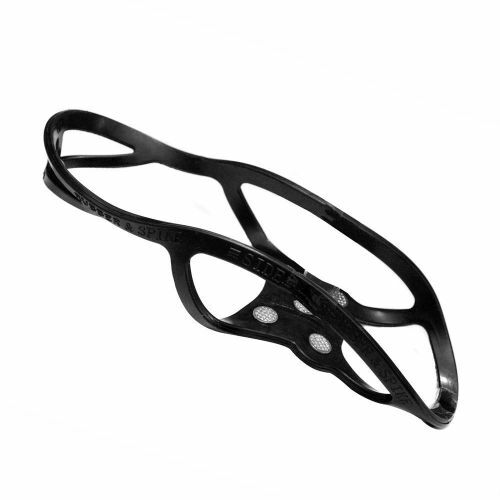 Caraselle Anti Slip Snow & Ice Shoe Grips | Lightweight & comfortable to wear. 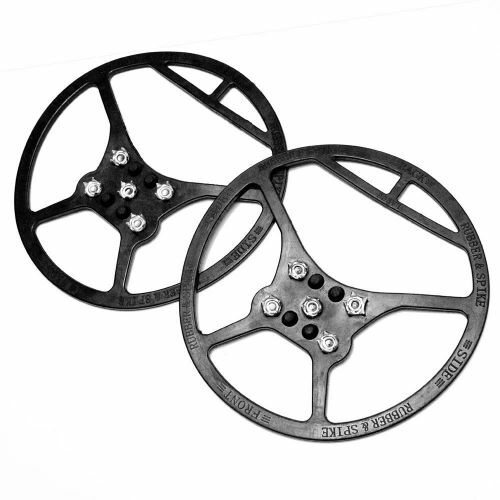 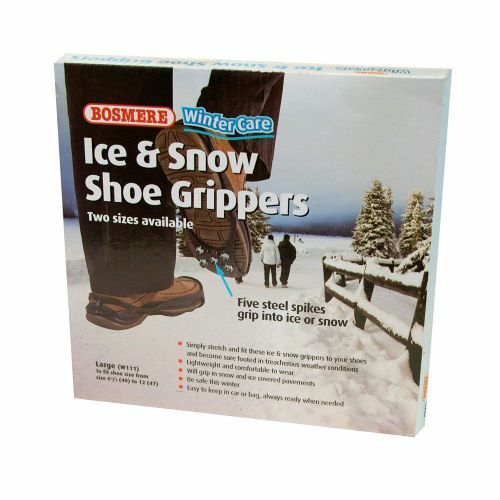 These snow shoe grips are easy to stretch to fit onto the bottom of your shoes & boots. 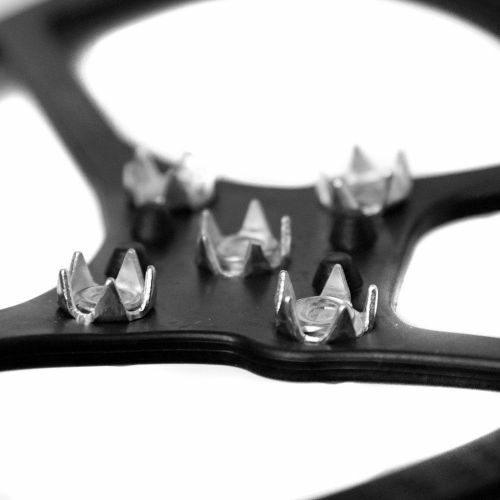 Five Steel Spikes Grip into Ice or Snow. 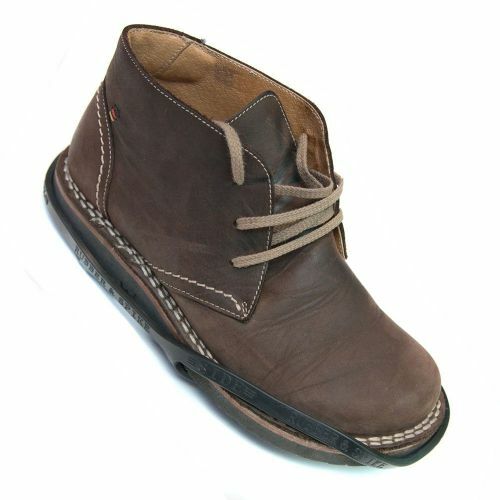 Easy to keep in the Car or Bag. 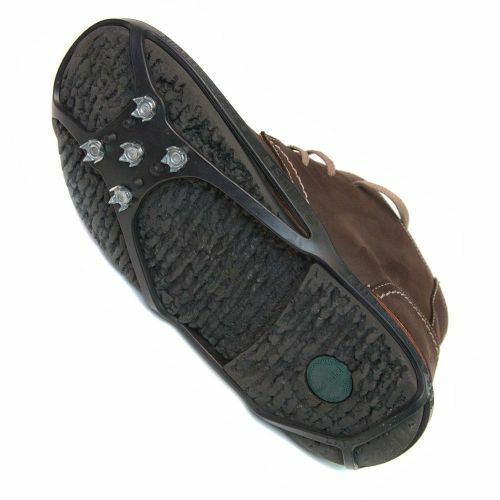 Also available small snow and ice shoe grips for sizes 3 - 6.